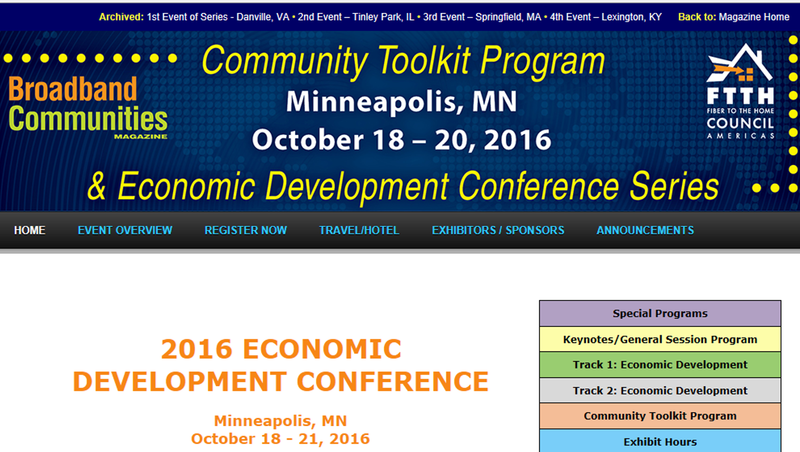 Across the Field: Community Development Society’s 47th annual conference coming to Minnesota in 2016! Mark your calendars now for the Joint International Conference of the Community Development Society & International Association for Community Development, coming to Minnesota, July 24-27, 2016. Minnesota last hosted this international gathering in 2001 in Duluth. The location in 2016 is the Hilton Minneapolis/St. Paul Airport hotel near the Mall of America in Bloomington, Minnesota, USA. Too often, development initiatives fail to generate lasting, positive, change. The focus of this 2016 CDS & IACD gathering is for attendees to share and learn tips and techniques from across the globe to create sustained – and positive — community change. The dynamic pairing of both the CDS and IACD organizations brings a wealth of knowledge and experience from multiple and diverse perspectives, from community members, practitioners, researchers, and academicians. Organizers expect 500 people to attend, from across North America and worldwide, working on issues in community, economic, and rural development. Typically CDS & IACD conferences feature people, places, and models of interdisciplinary and comprehensive approaches to community development. So if you work primarily through a community health lens, for example, this is a great chance to connect with people working on community health through a resource economics perspective. Or if you are a local citizen working on broadband development, connect with people from South Africa at the conference doing the same things on a regional basis for community improvement. Or if you believe that community betterment requires a whole systems approach across disciplines and sectors, find like-minded colleagues and case studies at the 2016 conference. Minnesota is also home to three past-presidents of CDS: Brent Hales, John Kuester, and Jane Leonard, and many other faithful members. Join us in 2016 to welcome national and international visitors to the Twin Cities and to the Upper Midwest. Check our local host Facebook site for ongoing updates and to start connecting with colleagues now for a great summer gathering: https://www.facebook.com/cds2016. A Call for Papers will be announced soon, and online registration will begin later in 2016. WE ARE SEEKING VOLUNTEERS to help welcome attendees and host at various conference activities throughout the 2016 CDS & IACD conference. Email Jane Leonard at jane.leonard@state.mn.us if you are interested in short stints as Mobile Learning Workshop chaperones, conference greeters, and other hosting experiences. It’s a great way to experience the conference and a great way to show our visitors Minnesota’s excellence in hospitality. Conference venue & hotel: The Hilton Minneapolis/St. Paul Airport Mall of America hotel (http://bit.ly/hilton-msp) is located a short distance from both the MSP airport and Mall of America. Rooms will be available at a rate of $149.00 per night, excluding tax. For examples of previous Community Development Society conferences, link here to the CDS 46th Annual International Conference, held in Lexington, Kentucky this past July. For info on the International Association for Community Development, link here. As most readers know, the MRP Newsletter is a labor of love. What you might not know is that we’ve been paying for the newsletter to go out for years – but there’s a way that we can continue to send you the news and you can continue to get it for free – but it requires you to sign up through our website: www.minnesotaruralpartners.org. Simply add your email address to the “Follow Blog Via Email” option on the sidebar. (Just look to the right of this page!) Once you do that you will receive an email to confirm your address. Follow the instructions and you will continue to receive email updates when we post the newsletter. — Benefits Enrollment Centers (BECs) Awards funding for the establishment of a Benefits Enrollment Center, which will work to find and enroll eligible Medicare beneficiaries (seniors aged 65+ and adults living with disabilities) into benefit programs. Application Deadline: Nov. 13, 2015. — Whole Kids Foundation is accepting applications for a school garden grant program in public, private, and charter K-12 schools. 2015 Deadline: November 15. Click here to visit the website to review funding guidelines. —USDA is offering grants to public food program service providers, tribal organizations, and private nonprofit entities through the Community Food Projects Competitive Grants Program. The program seeks to encourage healthy eating and physical activity at the individual and community levels, focusing on high-risk groups, and promotes healthy diet and physical activity behaviors. Deadline to apply: 11/30/2015. Click here for funding guidelines. –The Agstar Fund for Rural America is offering grants to nonprofit organizations in the service area where AgStar has a significant business presence in Minnesota and northwestern Wisconsin. The Fund focuses its giving program in the following four major areas: education, environment, technology, and quality of life. Deadline: 11/30/2015. Visit the AgStar website here to review the funding guidelines and application instructions. –The Corporation for National and Community Service is offering AmeriCorps grant funding for programs that are designed to strengthen communities and solve local problems. Funds may be used for programs that utilize AmeriCorps members in the following areas: disaster services, economic opportunity, healthy futures, environmental stewardship, education, and veterans and military families. Deadline: Letter of Intent (required) 12/9/2015; application deadline 1/20/2016. Click here to visit the website for guidelines. –Wells Fargo and the National Fish and Wildlife Foundation are accepting applications for community grants. Grants of up to $100,000 will be awarded in support of projects that link economic development and community well-being to the stewardship and health of the environment. Deadline: 12/10/2015. Click here to review funding guidelines. — The Minnesota Loan Forgiveness Program is open and will close on Monday, January 4, 2016. Over $3.2 million is available in Fiscal Year 2017. In addition to the eligible professions of physicians, dentists, pharmacists, midlevel providers, nurses, and nurse/allied faculty, the program has been expanded to include three new professions—Rural Dental Therapists/Advanced Dental Therapists, Rural Public Health Nurses, and Mental Health Professionals as defined by Section 245.462, subdivision 18. For information on the professions covered in the program, and for instructions on applying, please see the Loan Forgiveness and Repayment Programs webpage, or contact Brenda Flattum at 651-201-3870 or Paia Vang at 651-201-3895. —National Rural Health Day Webinars on November 19, National Organization of State Offices of Rural Health (NOSORH) will be holding a day of webinars on the topic of rural health. Check the National Rural Health Day website (right column) for more information. —From Options to Decisions: Phase 3 of Community Heart & Soul, Thursday, November, 19, 3-4 p.m. (Eastern). Phase 3 of the Community Heart & Soul™ method is about discovering ways to protect and enhance your community’s heart and soul—what matters most—and building toward a future that honors it. After identifying community-wide character, attributes, and love of place during Phase 2, the next step is learning which ideas, decisions, and actions best support your town’s unique character. Join Orton Programs Director Alece Montez-Griego and Senior Associate Leanne Tingay for this FREE webinar that includes audience Q & A. — Minnesota Farm Bureau annual meeting, November 19-21. The Minnesota Department of Transportation invites you to a regional bicycle and pedestrian workshop on Thursday, Dec. 3 from 9:00 a.m. – 4:30 p.m. at Winona Health, 855 Mankato Ave, Winona. — Nurse Anesthetist Traineeship Program (NAT) Provides funding to support traineeships for licensed nurses who are enrolled in a nurse anesthesia program, with preference given to projects that will benefit rural and underserved populations. Application Deadline: Nov. 20, 2015. —The Office of the Minnesota Secretary of State released the November 2015 notice of vacancies for various state boards, councils and committees, including openings on the Explore Minnesota Tourism Council. The full list of vacancies is listed online. The Explore Minnesota Tourism Council is focused on areas critical to the development and growth of Minnesota tourism. Program development and public policy issues at both the state and federal level are also addressed. Click here for a list of current council members and the industry sectors they represent. Give you a written report with prioritized recommendations and estimated financial and environmental savings. — MNTAP interns and training opportunity – An extra set of eyes: MnTAP interns identify savings! The Minnesota Technical Assistance Program (MnTAP) is seeking proposals from Minnesota businesses for its 2016 summer intern program. Businesses interested in reducing waste, conserving water, and improving energy efficiency are encouraged to apply for an intern in 2016. Proposed projects are evaluated for impact potential, project scope, and company interest and commitment. Interns are chosen based on outstanding educational background and leadership capabilities. We anticipate supporting up to 15 projects this summer, with at least one project focused on paint efficiency and at least three projects on water conservation. Other projects will focus on source reduction, energy efficiency, and pollution prevention. Applications are being accepted until February 1, 2016 and will be reviewed upon receipt. Apply online today! If you work with Minnesota companies, please spread the word to those companies you think might be a good fit. Find out more at MnTAP’s intern page, or call MnTAP at 612-624-1300. —HUD has published a summary report that covers needs, barriers, and experiences with aging in place, and feasibility of programs to support independence for rural seniors. It includes discussion of emerging trends and potential service models. Get the report here. –HUD posted an article in Evidence Matters on how local initiatives, with the support of federal policies and national nonprofits, address unique barriers to homeownership in Indian Country. Residents of Indian Country face a diverse set of housing challenges, including overcrowding, high cost burdens, and a lack of affordable, high-quality housing options for both renters and homeowners. Initiatives seek to overcome these obstacles to homeownership by supporting infrastructure development and home construction and rehabilitation, increasing access to mortgage credit, cultivating financial literacy, and providing direct financial assistance to homebuyers. Read the article here. –The National Association of Development Organizations (NADO) Research Foundation has released “Planning for a More Resilient Future: A Guide to Regional Approaches”, a report that summarizes the rapidly-growing body of research on resilience, describing the main ideas that are driving policy and practice across the country and examining current thinking on regional and economic resilience. It is intended for regional development organizations as well as local governments, community foundations, voluntary organizations, and others who step forward as planners, conveners, organizers, fundraisers, mediators, coordinators, and advocates on behalf of communities impacted by, or at risk of being impacted by, disasters, natural and human-induced. To explore the publication and the companion website, click here. –National Association of Development Organizations has published “Creating Opportunity and Prosperity Through Strengthening Rural-Urban Connections”. The brief highlights examples in which regional development organizations can benefit from linking rural regions with urban centers, and includes information on broadband development and its implication for improving access to healthcare services. Click here for a free copy. —The Center for Rural Entrepreneurship has put together an overview of the Center’s resources in support of community development philanthropy. “The Community Development Philanthropy Overview Guide” spotlights the growing set of resources that the Center offers and their new partnership with the Aspen Institute’s Community Strategy Group. Get the guide here. —An Interview with Ajit Pai Federal Communications Commissioner Ajit Pai discusses the critical need to expand broadband deployment in rural communities and the promise that broadband holds for rural healthcare. —Minnesota Crisis Link Website Now Available. Minnesota has launched a Crisis Link website to connect people in crisis, including mental health and substance abuse problems, homelessness, or other crisis health needs. Hospitals and clinics are encouraged to make the Crisis Link website, local crisis line numbers and Fast-Tracker information available to patients and their families. The information can be posted, available as a handout in the waiting room or offered in other ways. USDA’s Economic Research Service plays a leading role in Federal research on food security and food security measurement in U.S. households and communities. In this webinar, ERS Social Science Analyst Alisha Coleman-Jensen will provide an overview of USDA’s annual report on the prevalence and severity of food insecurity in U.S. households in 2014. The report includes changes in food insecurity from previous years, the prevalence of food insecurity by selected household characteristics, and food insecurity among children. Food-insecure households are defined as having had difficulty at some time during the year providing enough food for all their members due to a lack of resources. Food-secure households are defined as having had access at all times to enough food for an active, healthy life for all household members. In the 1930’s, the federal government chose to ensure that everyone should be able to have a telephone. The Universal Service Fund (USF) was a tool that emerged to make that happen. Now the USF is being used increasingly to fund broadband networks and users. Learn how communities and regions can collaboratively use this funding resource for network deployment and driving adoption. Learn from top federal and state officials and an expert broadband practitioner about the legal uses of the funds and new creative strategies to leverage these dollars for greater community benefit. •Joe Freddoso, Co-Founder and COO of Mighty River LLC, a telecommunications consulting firm. Two great webinars with a rural twist happening this week! Hundreds of rural communities face the difficult challenge of adjusting to dwindling populations. High school graduates leave for college or good-paying jobs, and only a small number return. However, those who do return often bring spouses and young children back with them, along with education and skills gained elsewhere. Findings discussed in this webinar come from interviews with returnees and nonreturnees conducted at high school reunions in 21 rural communities. Decisions to return or not return to rural communities hinged heavily on family connections and evaluations of local school systems. Does broadband promote creativity? Not alone it doesn’t but it can be an ingredient that spurs or supports a community effort. You also need people to make it happen. In this webinar we’ll hear from people who have promoted creativity in their community at least in some part through technology. We’ll learn about what they are doing, how they started it and what it has meant to the community. Matthew Marcus and Aaron Deacon on Kansas City Startup Village: A community situated around the first neighborhood to get Google Fiber in KC but built by local entrepreneurs to be fertile ground to grow startups from KC and beyond. They community grew organically as if something was in the air. Hear their story and think about how we can replicate that here. Fred Underwood on Duluth Maker Space: A sustainable multi-field community workshop for local artists, inventors, experimentors, teachers, learners (Makers!) of all ages. It opened last Fall. They have classes available and open space with cool tools for folks who want to use them. Imagine a place in your community where makers can meet and collaborate. Carla Lydon on East Central Regional Library: The library offers a range of services that make the library building a place to learn and use technology such as popular digital petting zoos, where patrons can get a chance to use various tablets. They also provide a range of remote services that make everyone in the community more creative – no matter where they are locates. ECRAC is offering 10 free early bird registrations, a $100 value each, to the Rural Arts and Cultural Summit on this year’s theme “From the Ground Up: Cultivating Creative People and Places” at the University of Minnesota, in Morris, from June 2-4. Early bird registration for this offer is open until April 10. These registrations will fill quickly so respond to this email now. You must live in Chisago, Isanti, Kanabec, Mille Lacs, or Pine County to be eligible. Travel costs such as lodging and mileage will also be available for scholarship recipients. Here is what you need to do. Respond to this email, by clicking here. Put “FREE ECRAC Registration” in the subject line and give us your name, email, phone number and address. If chosen you will be given further directions on how to register on the Rural Arts and Cultural Summit website.